I so love Penelope!! I also love Agatha and Aggie as a nickname. I don't have a child or pet names after a literary character but maybe one day!! Those are some good choices. 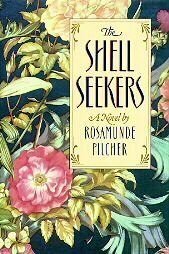 So funny you mentioned The Shell Seekers as I just answered a Goodreads question on Twitter, asking what book is like to read again for the first time. Love that book. I like Bilbo too & Agatha certainly works for an older cat. Yay for a kitten! We got two last year and they've been a terror! Fun though... I kinda like the name Miranda, and Bilb and Wimsey both work. And Agatha is another great pet name! I love the name Penelope, but from the book Romancing Mister Bridgerton. Marilla would be a tough name to have, but I think it could have worked. :) But I love Anna as a name too. It's so friendly. Bilbo is fantastic, it just rolls off the tongue. 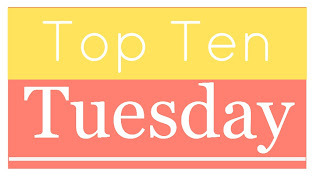 Great top ten. I've taught a Rilla. My middle name is Anne, with an e obvs. My kitty Cleo's sister was named Penelope. lol She was a cute sleek black kitten. Totally adorable. Great list! I haven't even thought about naming a pet or child after someone in a book but there are some great names to choose from. I am actually known to name my animals after food although I did stop that trend recently. I love your choices! Especially Wimsey - I love that series and it would be such a cute pet name! Love these! I'm having fun looking at everyone's lists-- I was out yesterday so posted mine today, better late than never. I do agree on my list with Gatsby (for a regal cat) and I chose Frodo for a scruffy terrier, instead of Bilbo, but still.... Thanks! We had a foster kitten named Whimsy (very close to Wimsey) the girl who adopted her kept the name, but Whimsy's brother, Rembrandt, wasn't so lucky. The family who took him renamed him Rocky. Ha ha. Yay for getting a kitten! 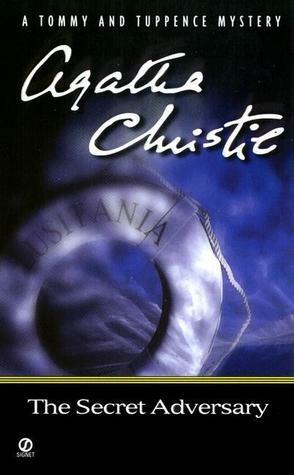 I like Agatha, Wimsey and Tuppence. Great list! What a fun topic and great choices! A couple of years ago, we watched Life of Pi and then I read the book. We all agreed that our 20 lb, ridiculously long male cat should have been named Richard Parker after that Tiger in that book!